In November, we hosted our ninth annual Farming Conference, and this edition of Working Together is dedicated to the conference, giving you the opportunity to access key insights from the day. We welcomed over 450 farmers, growers, suppliers and stakeholders, and for the first time ever the conference took place in central London, at the QEII Centre, with a theme of “Destination Sainsbury’s”. During the conference we heard from Mike Coupe who called out some key milestones in our agricultural legacy over the past 150 years, Paul Mills-Hicks talked us through how we are delivering “Destination Sainsbury’s”, the current NFU President, Minette Batters, talked about the current political landscape impacting our industry and the importance of writing the future for British farming. I spoke about the difference between the cyclical and structural changes which we are currently facing that you can only be agile to cyclical challenges if you have previously built structural resilience. Finally, I discussed how we should always drive to get to the “best truth” and focus on the things that are within our gift to manage and control. An underlying theme of the conference was innovation, which the agriculture team stressed the importance of through their case studies and how we are collaborating with our farmers and growers to drive efficiency and create distinctive products. At Sainsbury’s we know that none of those opportunities can be realised without fostering close collaborations with our partners right along the supply chain. Together, we can drive output, productivity and competitiveness through focused investment in data, innovation and skills. Enjoy the issue, and Happy New Year. We want your stories, ideas and suggestions for great future content you'd like to see on these pages. 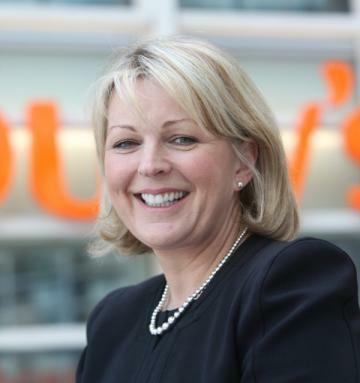 Get in touch via working.together@sainsburys.co.uk or talk to your Sainsbury's contact. Here, you'll find all the updates and news from across the business and our diverse supply base. Get up to date on all the key messages, news and stories from the Sainsbury's Farming Conference 2018. Read about our work to deliver on our values here. Read on for news about the latest product launches landing in store. Explore how we're working with our suppliers to deliver on our goal as the most trusted retailer. Sainsbury's Academy, information on apprenticeship and learning resources. This site is intended expressly for the use of Sainsbury's and their direct suppliers.